You wish to communicate around your commercial activity? Planning a roadshow enables you to highlight your firm’s communication strategy towards your target market : clients, clients of clients, prospects, distributors… Most of the time a roadshow has a regional dimension, which makes it a real “mobile fair”. During this event, companies can send prospects towards their commercial agents, and save precious time. It is an ideal way to improve your offers notoriety on predefined geographical locations without having to displace the participants for their conferences, demonstrations or even workshops. You will be able to understand better your participant’s wants and , organize physical meetings, or even take orders. As well as bringing clients closer to their brands, their cost is very accessible and guarantees a positive return on investissement! In any case, this solution will be the success of your marketing campaign. The short virtual roadshow format enables a proximity that enhances the effectiveness of your sales process. Throught the virtual event, your customers and prospects are connected from the place of their choice, anywhere in the world. Your business prospects have never been so wide ! Organize unlimited virtual roadshows in accordance to your marketing plan. Thanks to the virtual, there are less material and logistical needs. Through an eco friendly, event planning is easier and the costs becomes more controlled. The latest back office innovations allow event planners to organize, manage and animate one or more virtual event autonomously and intuitively. The whole platform was conceived to be intuitive, making it easy for users to use. Every module and function was studied to facilite interaction between all the different speakers. This version offers a number of advantages to exhibitors who can for instance start conversing through instant messaging or video chat with a visitor. Our team will guide you every step of the way : from start to finish. The back office allows you to be autonomous on the platform however if you wish, you can benefit from the PVA option : assistance to insert your booths, to configure your conferences or personalize your virtual identity, slogans and sponsors. 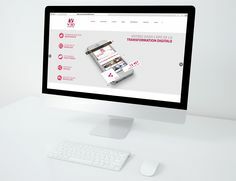 Furthermore, V3D Events also developed the booster pack : a turnkey online tool, to support your communication campaign for the launch of your event. 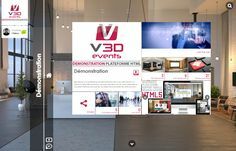 Please fill out this form, so that we can contact you to work on your project(s) and meet your needs, or contact us directly to discuss your event : contact@v3d-events.com.